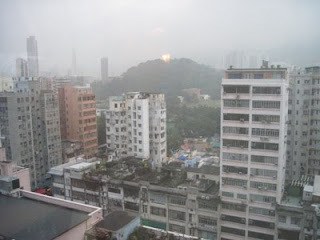 Would like to share where I stay in Hongkong during my 3 days tour..we stayed at Royal Plaza in Mongkok Area (Kowloon), the hotel is above Mongkok East station, which is convenient as we can go everywhere using MTR (just like MRT in spore, but in HK it is inexpensive). 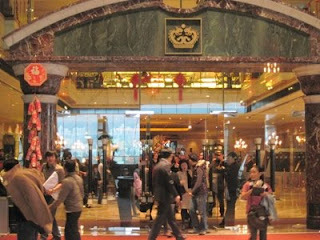 The hotel is connected to Grand Century Palace, a huge mall which also have a cinema inside. The price I checked in Agoda is around IDR 900,000 (USD 90) per night as of March 2010. 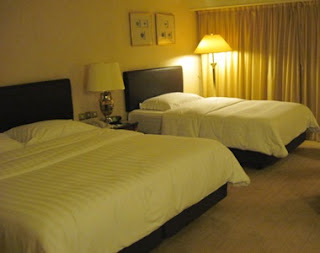 This price is very cheap considering the size of the room, which is very spacious for Hongkong hotel size, and also the great location. Fortunately I get a triple room only for myself..a bit weird to sleep alone though, but as the room is very comfy, I can sleep well trhu the night. 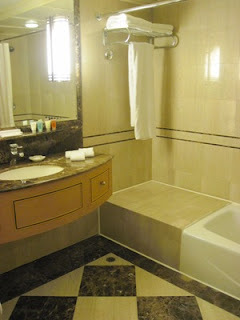 Have a look at the pictures of this hotel. If you go with your family, I would recommend this hotel. The price is ok for all of the facilities they offer. 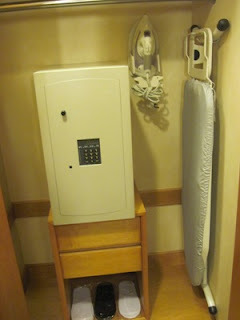 One thing to keep in mind, do not expect the hotel staff to be friendly to you. This is the bad thing about this hotel that people complaint about in the guest reviews of tripadvisor. hi, i've sent u an email, not sure if you got it. was wondering if it's easy to get halal food ard royal plaza hotel? mtr is easy too right? Thansk a lot! Btw, love ur blog! Hi,thanks for reading our blog. I have replied your email and I wonder whether you need to see my itinerary in HK? It's difficult to find halal food around the hotel, actually it was difficult to find halal food anywhere in HK.